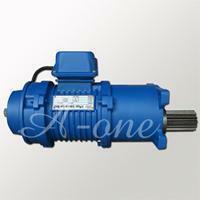 Gear motor for end carriage - A-ONE Crane Corp. 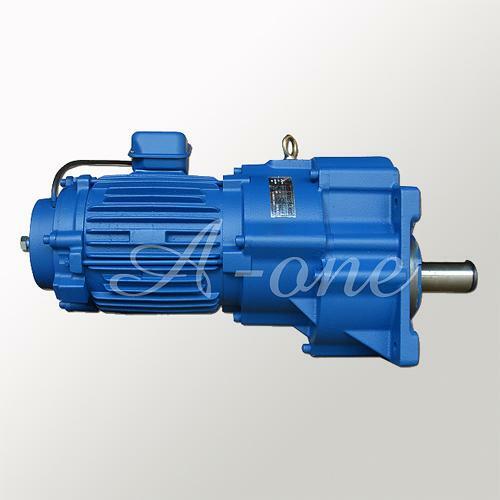 The gear motor for end carriage, is actually the gear boxes that are designed with soft start which makes it operate smoothly and quietly. 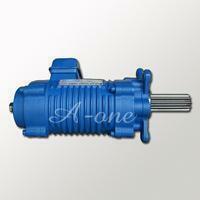 It is characteristic of reducing impact and increasing long life. 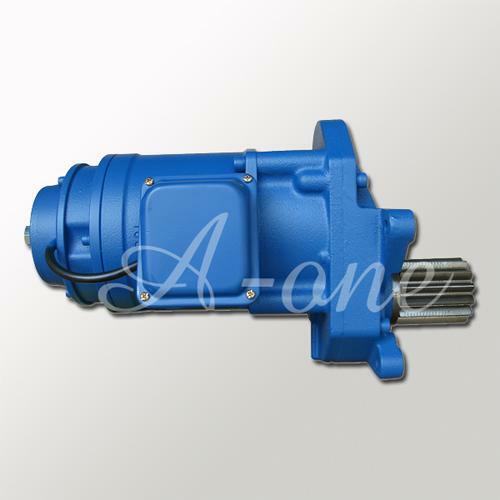 The motor has high starting torque and high output load, and the brake of motor can be easily adjusted by brake torque. 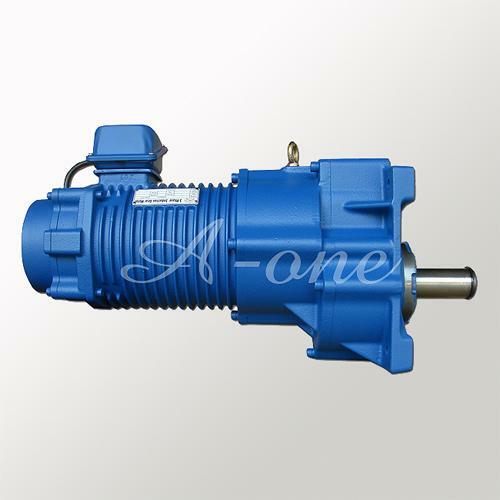 In this way, the gear motor for end carriage can increase the efficiency of your work. 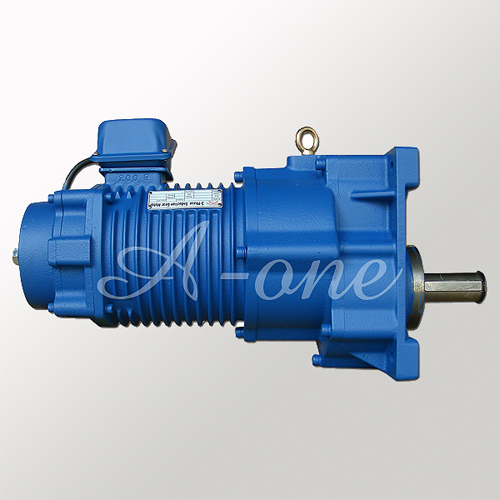 As a well-experienced manufacturer of crane trolley and gear motor, A-ONE CRANE is one of the most reliable supplier in the industry. 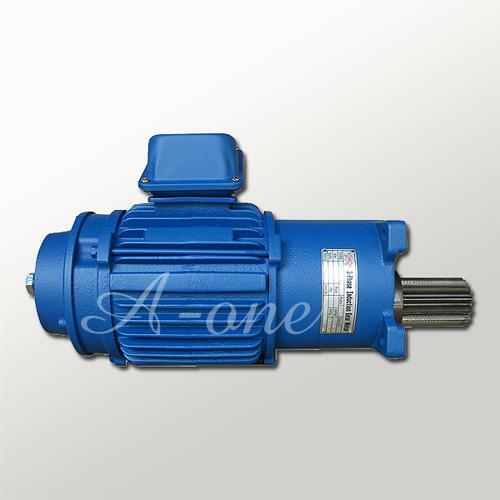 By serving products like gear motor for end carriage, you can find that the products are in fine quality. Moreover, the after-sale service is professional as well. If you are interested in our product, please feel free and contact us for more details today! 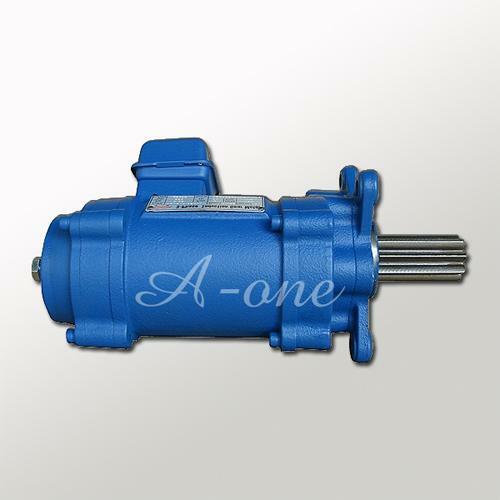 Type Power (KW) Pole Ratio 60Hz 50Hz Accessory Output speed (RPM) Output torque (Nm) Output speed (RPM) Output torque (Nm) LK-1.1A LK-1.1A-S 1.1 4 11.5 148 71 124 85 *With flange plate (Ø100 bore) 0.75 6 98 73 82 87 0.55/0.25 4/8 148/74 35 124/62 42 0.55/0.18 4/12 148/49 35 124/41 42 LK-H-1.1A LK-H-1.1A-S 1.1 4 8.0 213 49 178 59 0.75 6 141 51 118 61 0.55/0.25 4/8 213/106 24 178/88 29 0.55/0.18 4/12 213/71 24 178/59 29 Sleeved pinion Module Teeth Shifted factor M3.5 [14T] 17T 19T 21T 0.5 M4.0 [13T] 15T 16T 18T 19T 21T 0.5 M5.0 [10T] 12T 13T 14T 15T 16T 0.5 *Remark:The pinion in [ ] is solid pinion.